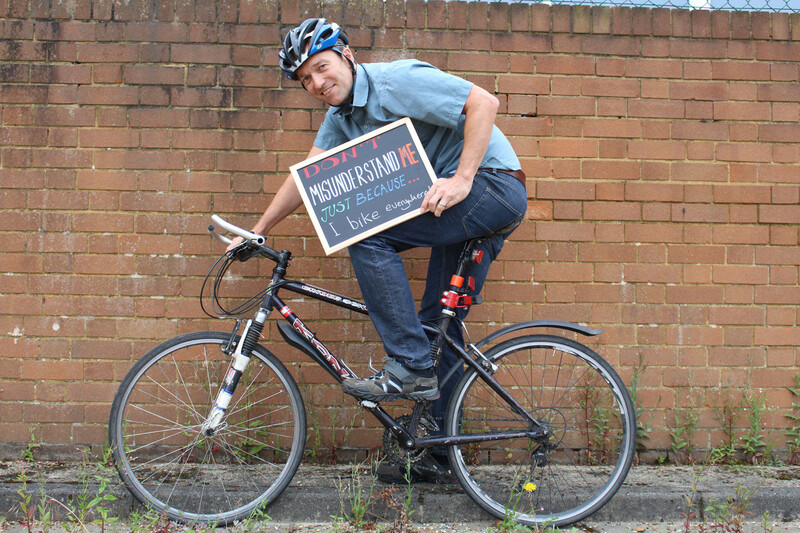 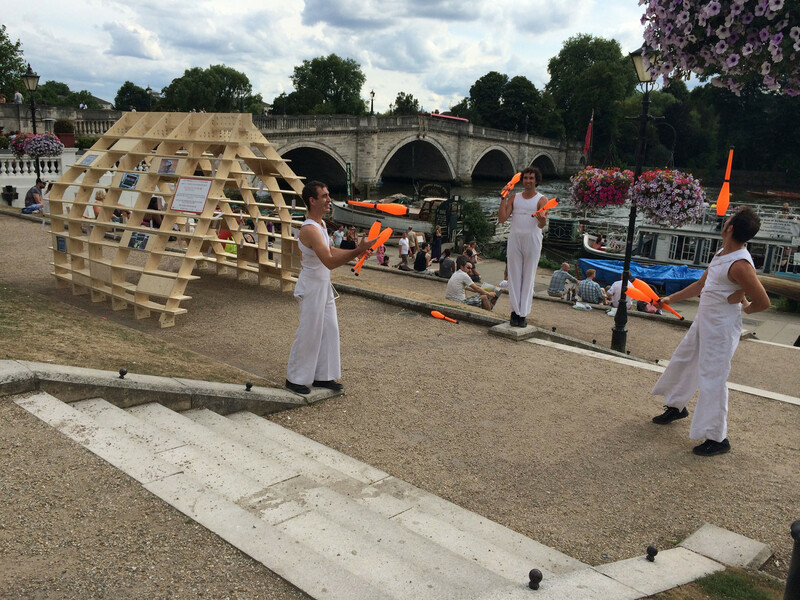 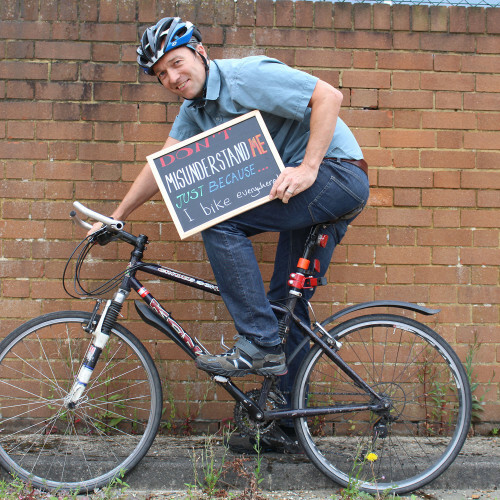 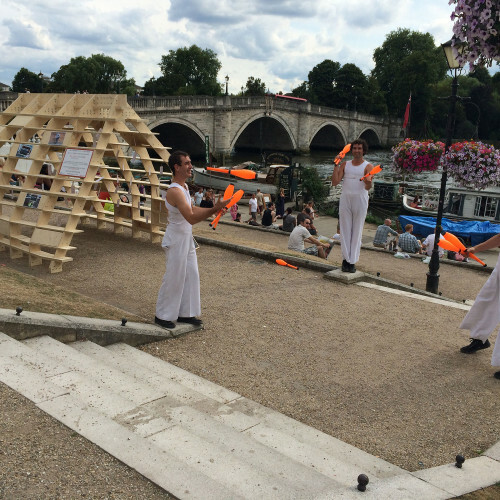 Working with three youth groups across the London Borough of Richmond we created a series of temporary interventions in public spaces as part of the borough’s summer arts festival. 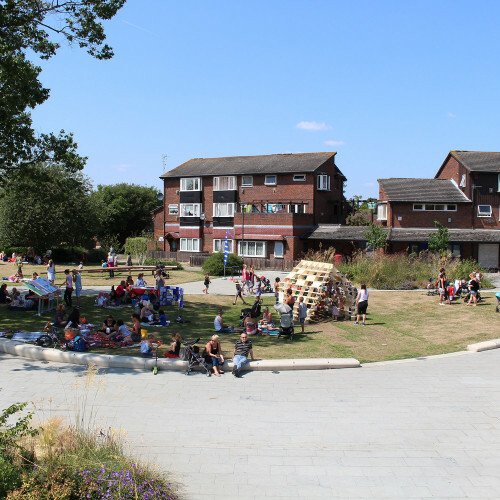 We challenged young people to think about what an intervention is, what it might say about young people and what it might say about their experience of using public space. 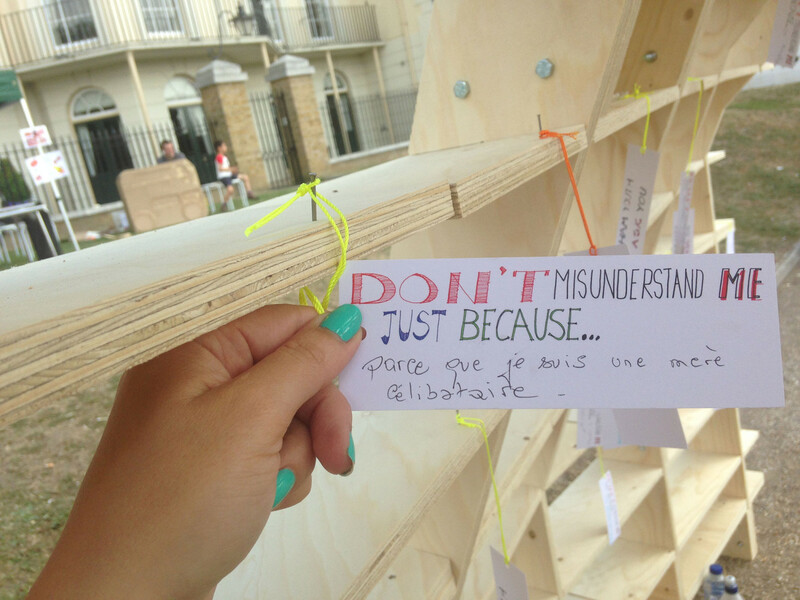 Each youth group had their own idea and message from a plea to not be misunderstood to a piece about the impact of climate change. 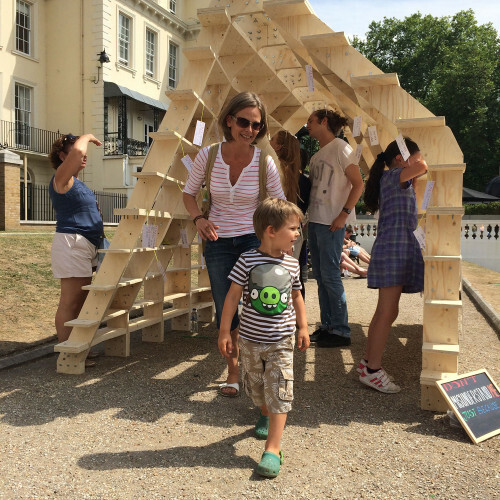 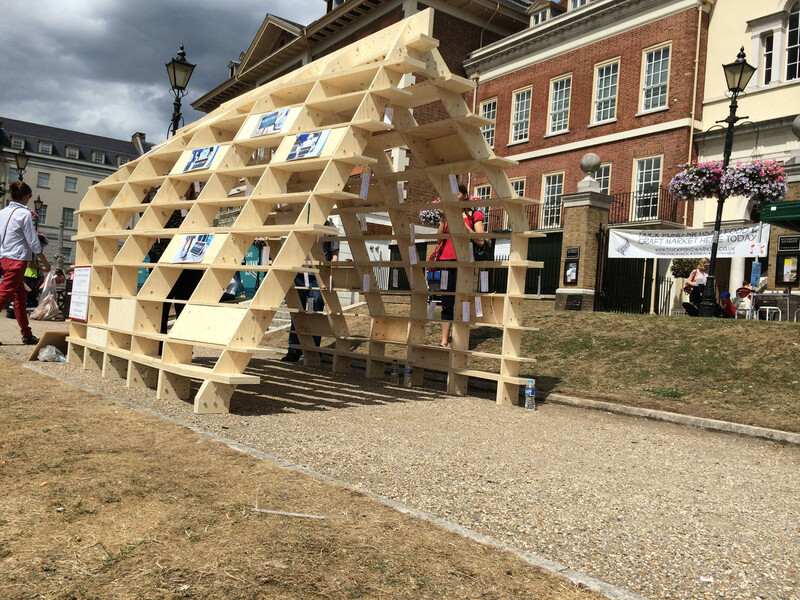 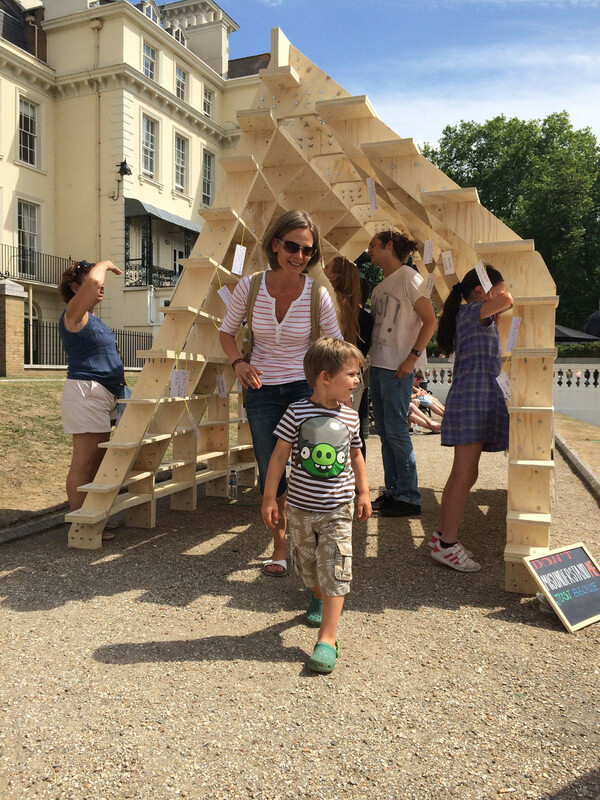 We co-designed a moveable structure with one of the groups that could be used to display the work and be used at all three of the sites involved in the festival. 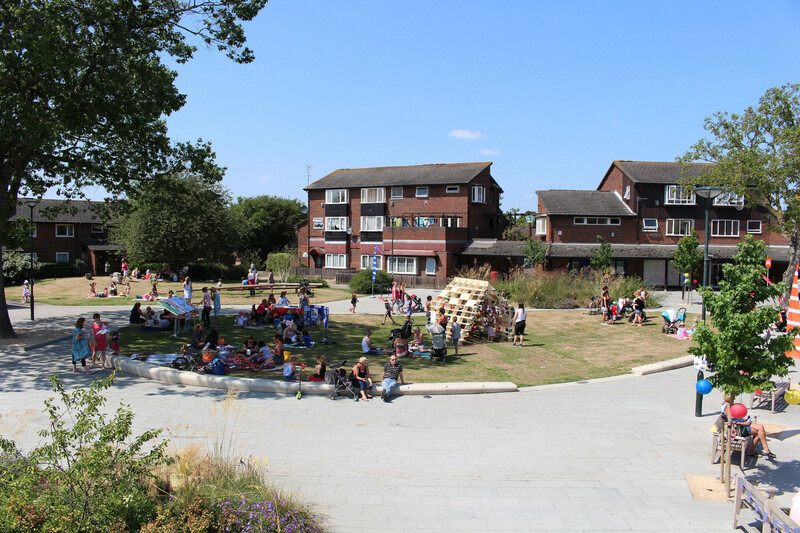 We delivered 3 workshops with each youth group followed by hosting the interventions alongside young people during the summer festival. 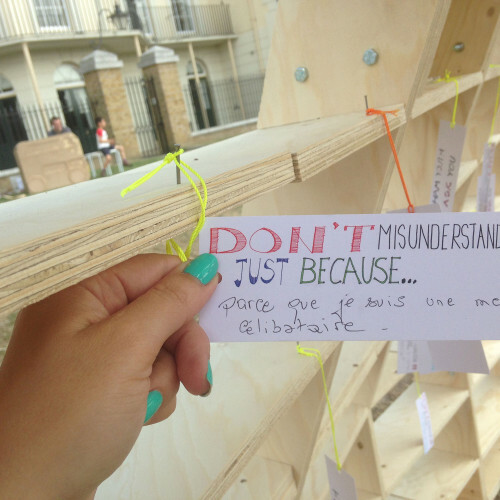 We started with a very open brief and collected ideas on what an intervention might need to say about them as a group, how they wanted visitors to feel or respond to the piece and what message they wanted visitors to leave with. 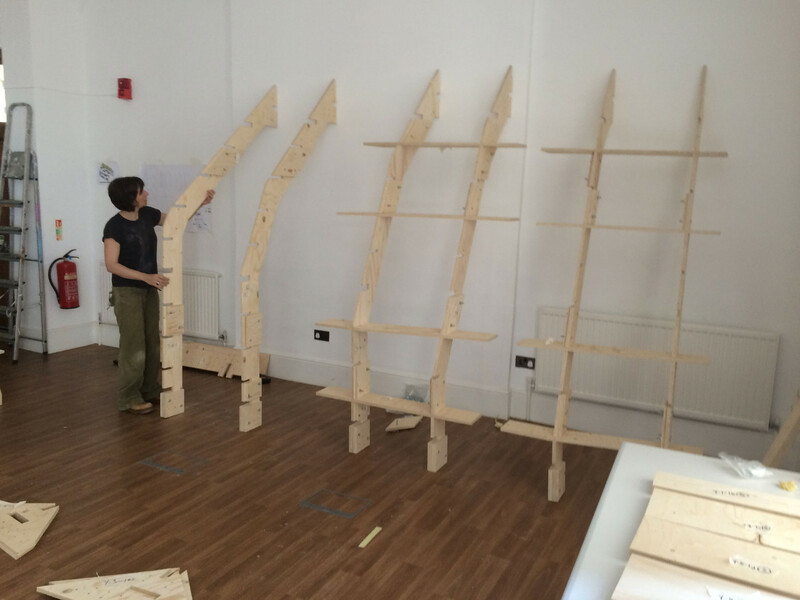 We created storyboards describing how people would approach, engage and move away from the intervention before we moved into building scale models of ideas. 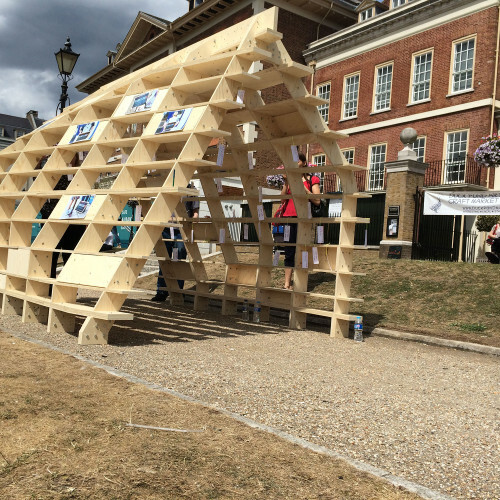 Common to three of the groups was the idea of having a space that visitors could go into and we worked with one group to design a moveable structure. 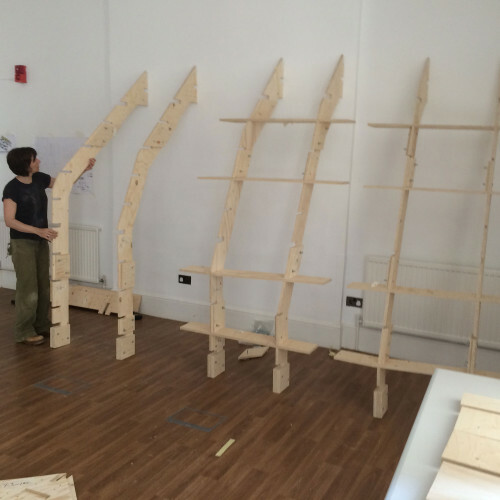 We used the example of a jigsaw to inspire a model building exercise that developed a design we could detail into a structure that could be cnc’d and be easy to assemble and take down. 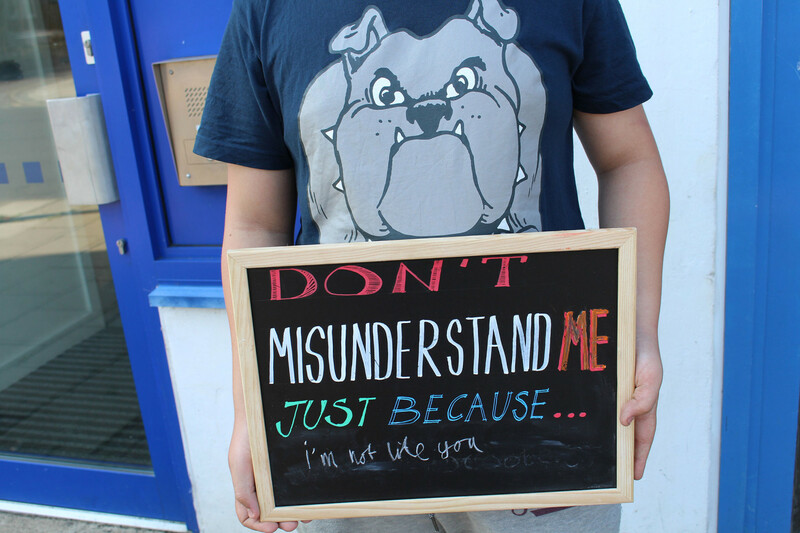 Each group developed their own theme. 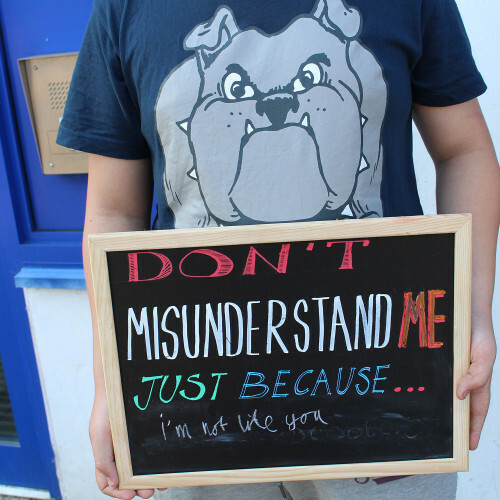 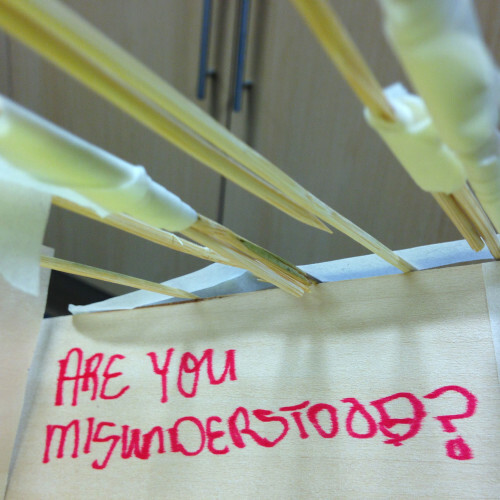 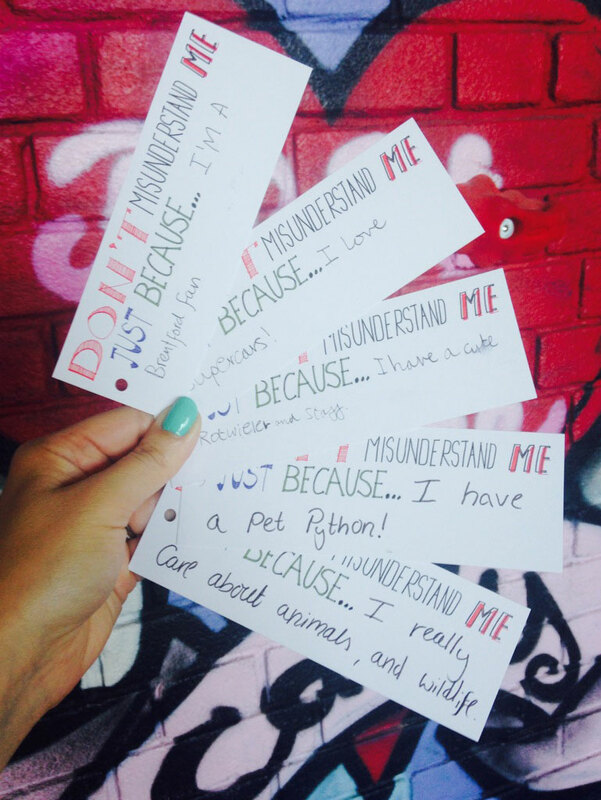 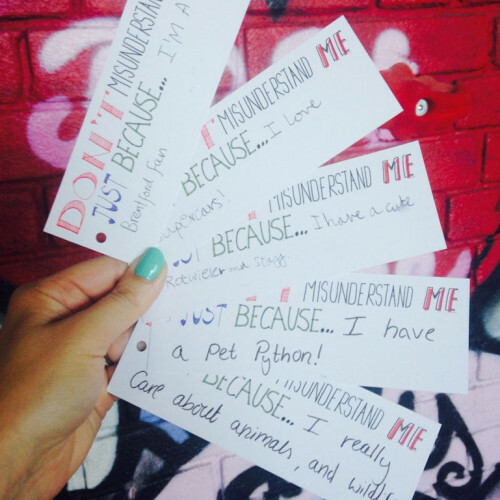 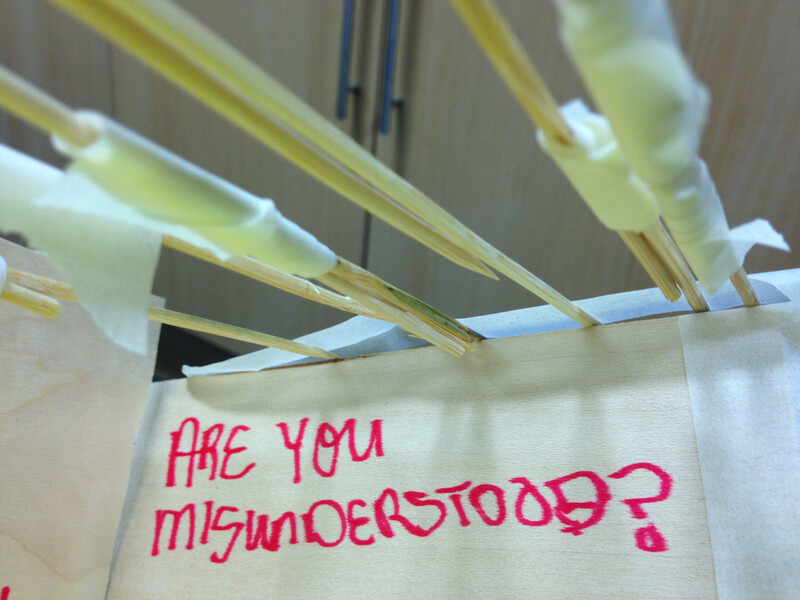 ‘Don’t misunderstand me just because…’ commented on how young people are often misjudged just for being outside. 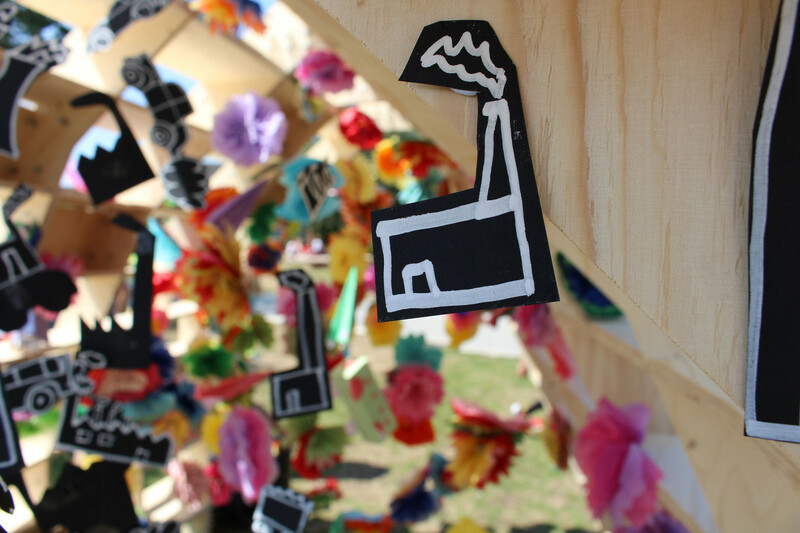 ‘It’s a small world’ aimed to provoke people to think about the impact our choices have on our planet. 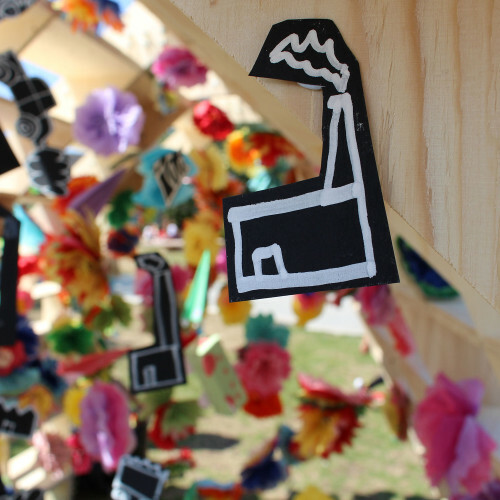 A structure was partially filled with silhouettes of factories, cars, planes and other major polluters; moving through these visitors entered into a world of crepe flowers. 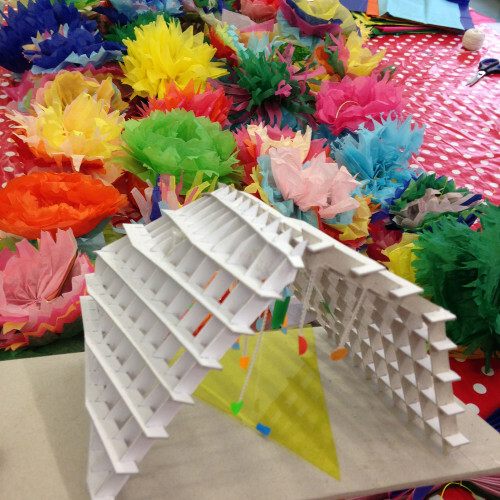 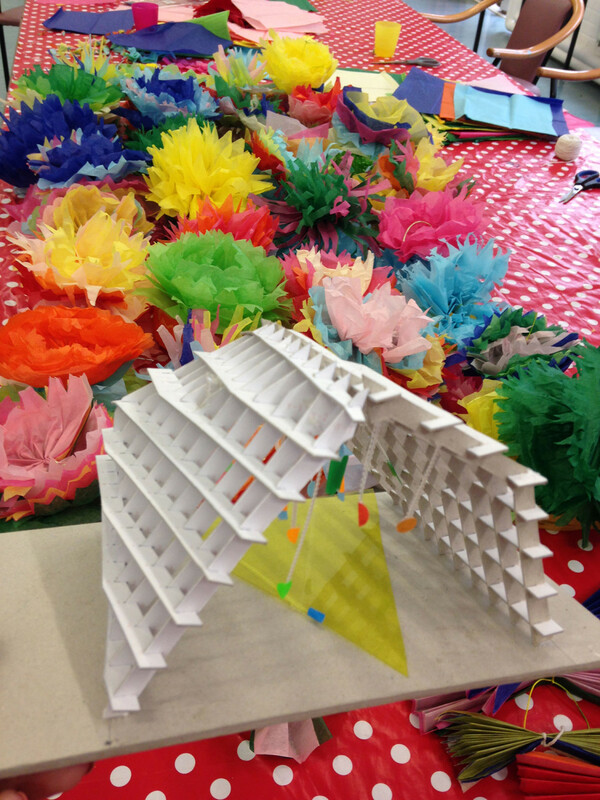 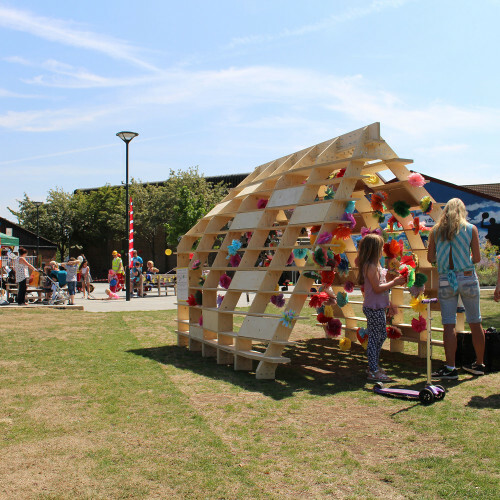 The final use for the structure was as a sensory garden. 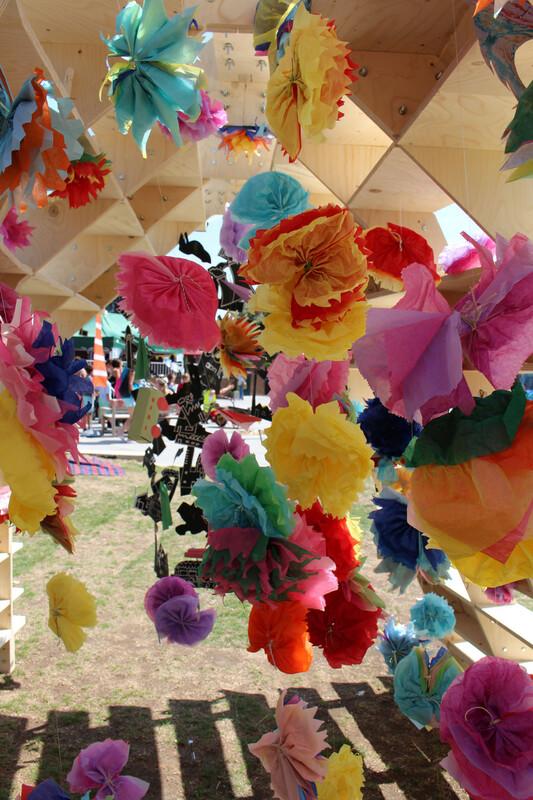 Recycled cans and bottles were transformed into plant pots and flowers which then adorned the sides of the structures filled with fragrant herbs. 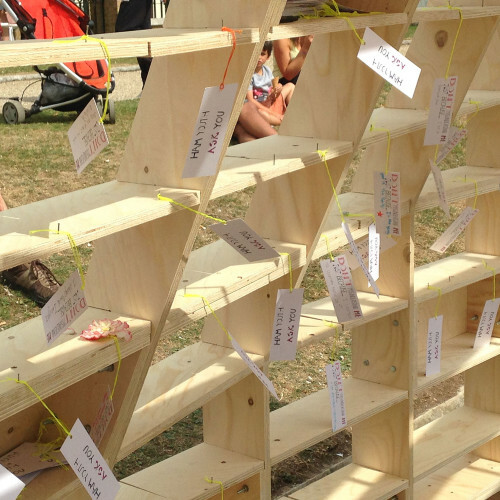 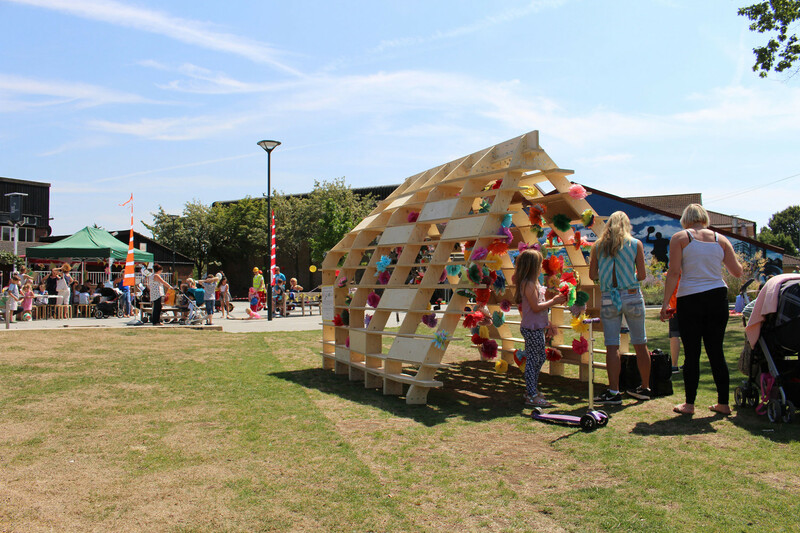 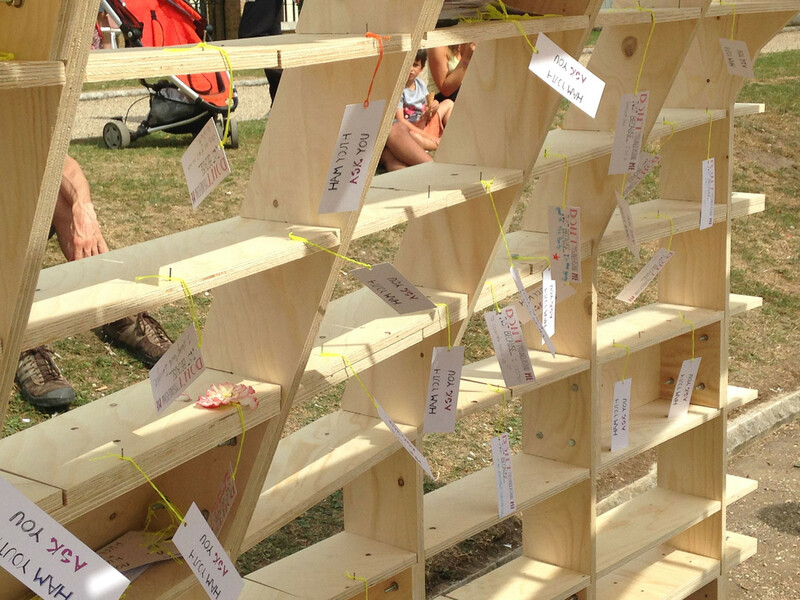 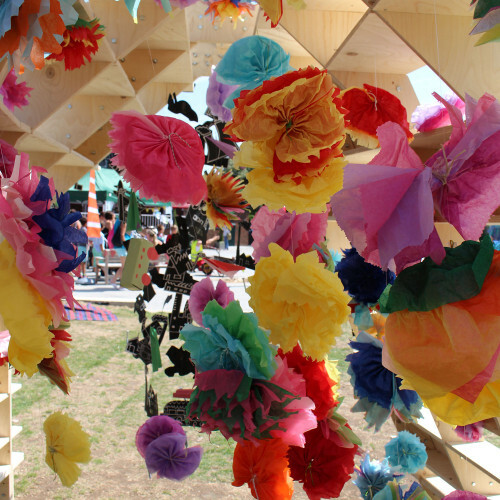 Following the festival the structure was gifted to a community project in New Cross to begin its life as a permanent garden structure.